A perpetual motion racing ‘game’ made by Japanese toy geniuses Tomy, in which little bicycles race around a track forever. 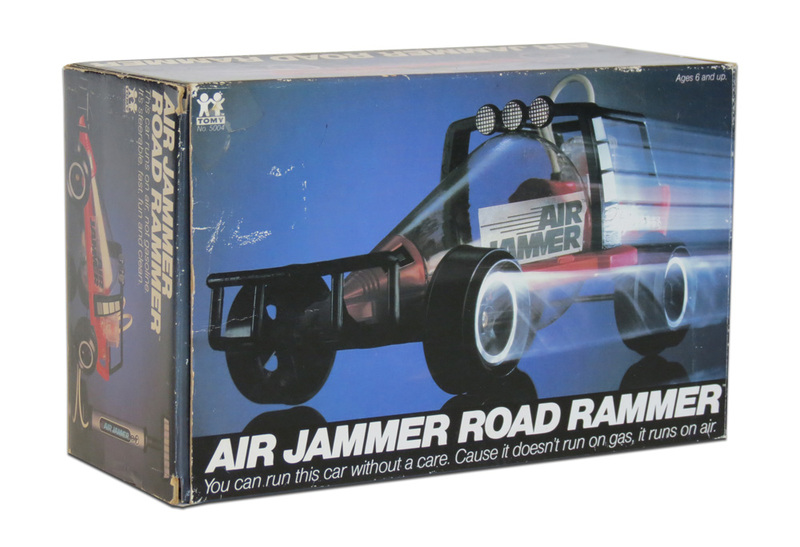 There used to be lots of these motorized track games in the 70s and 80s – perhaps you had something similar? A toy powered by nothing but air? How cool was that? Answer: very cool, particularly if it was released in 1980 and looked like some kind of futuristic moon buggy. 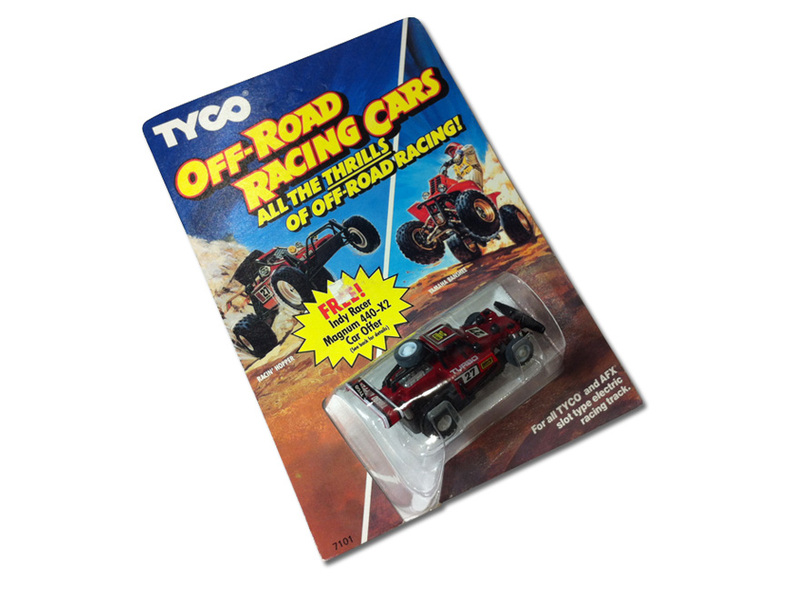 AKA “Off-Road Racing Cars” – those little slot car miniatures of the famous Tyco Turbo Hopper R/C buggy. 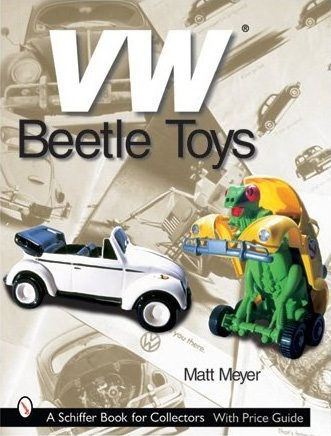 A nice book about collecting Volkswagen toys… that sadly excludes the very best Volkswagen toys of all time. Why?